Magic of Lights, Jones Beach State Park, Ocean Parkway, Wantagh. Now-Dec. 30. A special tradition for my own family, this beach-side light show features more than a mile of festive and vibrant light displays — with everything from the 12 Days of Christmas to a large menorah. Don’t miss the perfect photo-opportunity of driving through the multi-colored tunnel of lights; as well as the hay maze, holiday movie screenings and pictures with Santa. Details: holidaylights.jonesbeach.com. 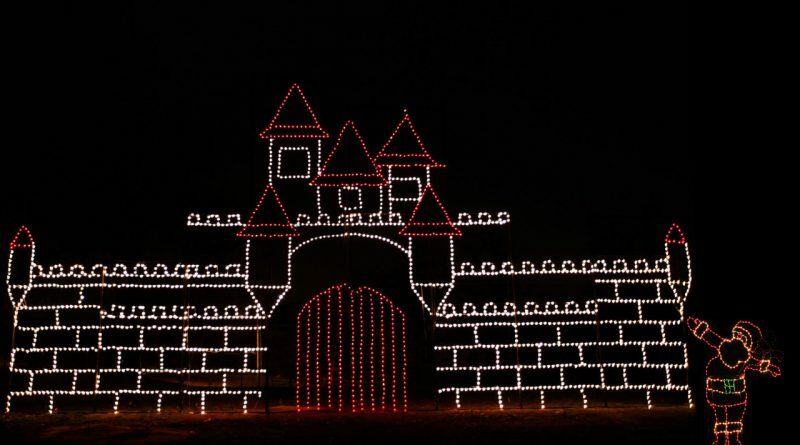 Riverhead Holiday Light Show, Long Island Sports Park, 149 Edwards Ave., Calverton. Now-Dec. 30. 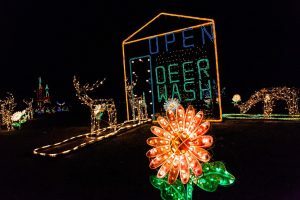 A new holiday light show, which takes about 20-25 minutes to drive through, is making a dazzling appearance this year – with dozens of displays, like Santa’s Castle, a festive sea serpent and a paddle boat. Tune into radio station 104.7 WELJ to enjoy holiday songs as you drive. Details: riverheadlightshow.com. Holiday Light Show, Smith Point County Park, William Floyd Parkway, Shirley. Nov. 29-Dec. 30. Santa in a tropical setting of palm trees and flamingos, a Long Island Lighthouse; and, of course, boxes of Girl Scout Cookies can be seen at the annual Girl Scouts of Suffolk County show, which will light up the park starting next Thursday. You can also check out the Holiday Village, where Santa will be ready for photos; bring a non-perishable food item to help local families in need. Details: gssc.us.